The history of the rooibos tea is deeply rooted in South African culture. 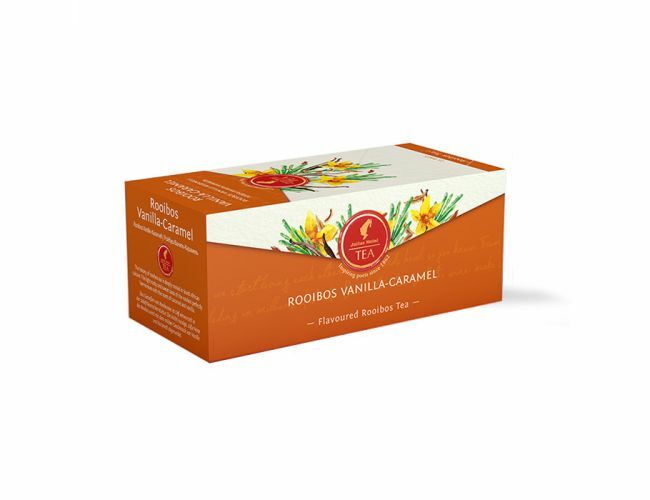 The light nutty and sweet taste of the rooibos is perfectly harmonized with the scent of caramel and vanilla for this tea from Julius Meinl. Put tea bag into a cup and add freshly boiled water. Steeping time 5-7 minutes.